Editor’s Morning Note: It’s IPO time once again, this time with ad-tech shop The Trade Desk. The 2016 US tech IPO group will likely welcome a new member to its ranks this year, as The Trade Desk filed to go public this week. 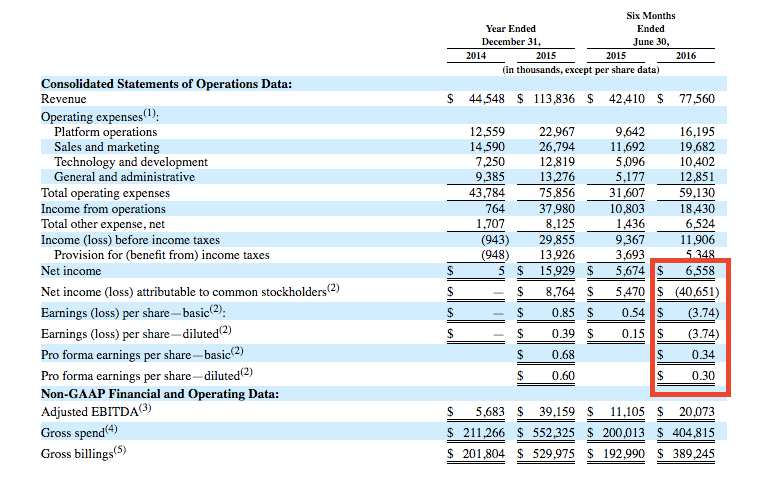 Following a number of successful offerings, it will be interesting to see how the company performs given as it is largely profitable, and certainly cashflow positive. At the same time, its S-1 is slightly more complicated than some others, which could temper some retail investors that are less savvy about the higher acrana of finance. The Trade Desk’s S-1 grants us several useful windows into its financial performance, including full-year 2014 and 2015 data that can be directly compared, and half-year data form 2016 to the corresponding segment of 2015. It’s that half-year frame that we’ll use, as it’s more conservative in terms of corresponding ratios than a single quarter1. 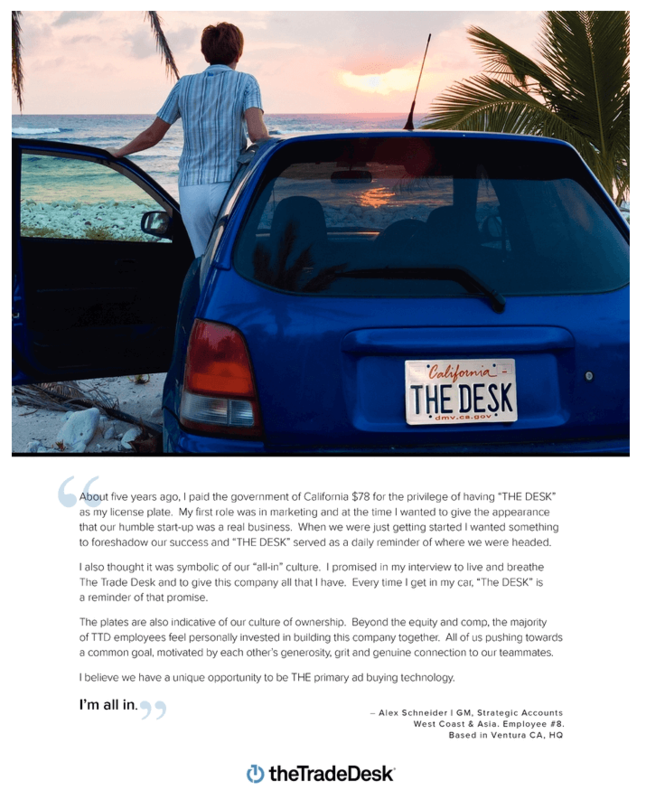 During the first six months of 2016, The Trade Desk recorded $77.56 million in top line and a resulting net income of $6.56 million — before other costs that we’ll examine shortly. 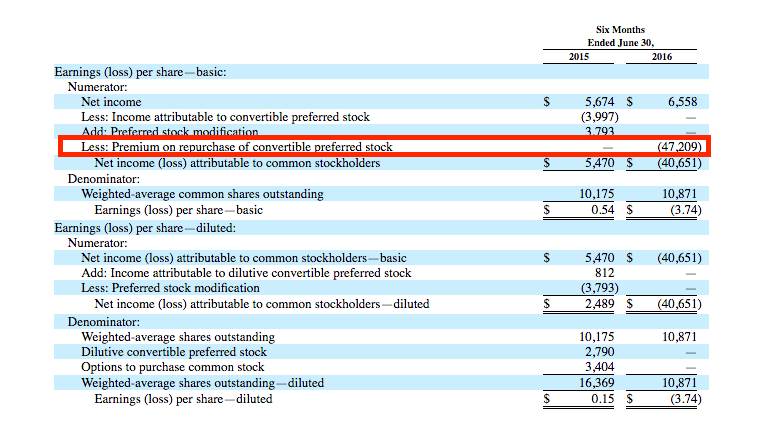 That’s up from $42.41 million in revenue during the first half of 2015, and a slimmer $5.67 million GAAP profit. So, after burning cash on an operational basis in both calendar 2014 and calendar 2015, and the again the first half of 2015, the company had more than $22.5 million in positive operating cashflow during the first six months of 2016. However, not all signs are positive. The company has $58.00 million in debt obligations, of which $57.38 million is due inside of the next three years. That figure outstands the firm’s $37.61 million in pre-IPO cash; the company’s cash figure will rise following its offering, of course. The notation (2) points you to Note 3 of The Trade Desk’s unaudited, and audited addenda. Note 3 to the audited section deals with calendar 2015, which doesn’t help, as we are looking for notes on the first half of 2016. How you want to count the impact of the retained earnings and their place on an P&L is perhaps not stylistic, but what can you do. The company hopes to raise as much as $86.25 million in its flotation. 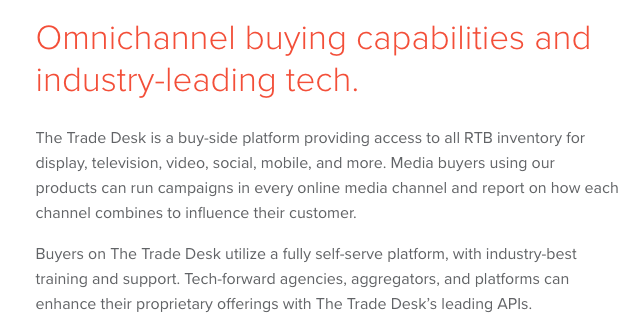 We’ll have more when the offering prices, but today you might wonder what The Trade Desk does. No IPOs for 18 months, and a busy 2018. Most people therefore must be wrong. I’m trying to figure out who is right in the meantime. Stay cool. For the same reason that calculating an annual revenue run rate is more conservative when looking at a full quarter’s average result instead of its final month, etc.